After selling off his family name last year, Richard Becker has re-emerged as an Australian distributor using the same name and with Female Agents as his first film. The new Becker Film Group acquired Jean-Paul Salome's drama -- about a five-woman commando unit that parachutes into occupied France in 1944 -- from TF1 International and will release it on 14 screens from August 7. Becker has leapt back into the Australian marketplace a year after selling his significant shareholding in Becker Group Ltd to regional television broadcaster Prime, and five months after losing a bid to buy back most of the cinema assets. Icon was the purchaser instead. The second film likely to go out under Becker Film Group is also a period film: Michael Hoffman's The Last Station, a portrait of Leo Tolstoy's final days, set in 1910. Sold by The Little Film Company, it stars Christopher Plummer as Tolstoy, Helen Mirren as his wife, James McAvoy as his secretary, and Paul Giamatti as his disciple. Becker says he is looking for quality storytelling suitable for specialist screens and older audiences. Ten years ago he believed the market for these kinds of films was the over-40s, but his gut feeling is that the over-35s are now also interested. 'I got very removed from the day-to-day and am enjoying doing everything from calling courier companies and working on posters instead of marshalling people,' Becker said on launching the private company. He wants to hire his first permanent staff member soon. Becker said his competition was television, the Internet and restaurants, not other distribution companies such as Transmission, which was also launched this year, with Paramount backing, by former Becker employees Richard Payten and Andrew Mackie. Becker does not intend to expand beyond distribution but has identified a book he would like to produce as a film; he produced December Boys, but it did not capitalize on the high profile of lead actor Daniel Radcliffe (of the Harry Potter franchise). Becker attracted the attention of Australia's Takeovers Panel and negative media attention when attempting to buy back the Dendy cinema chain, the Becker and Dendy distribution companies, and sales agent Becker Filmed International from Prime. 'I would be lying if I said it did not hurt me (my reputation) a lot but my father would not let me respond,' he told ScreenDaily.com. Russell Becker, Becker's father and business partner, fell ill at around the same time as the controversy and has since died of cancer. Becker Group Ltd still exists and Richard Becker said he received no objections from the board when he spoke to them of again using the Becker name. 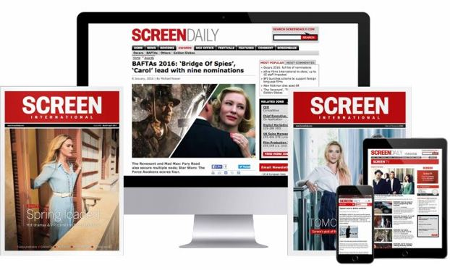 Prime did not return calls from ScreenDaily.com but Becker understands the name will be phased out. The Dendy and Becker distribution and sales businesses have been folded into Icon, although the Dendy name is expected to remain on cinemas.